Satco S9703 is a Solid State LED light bulb. 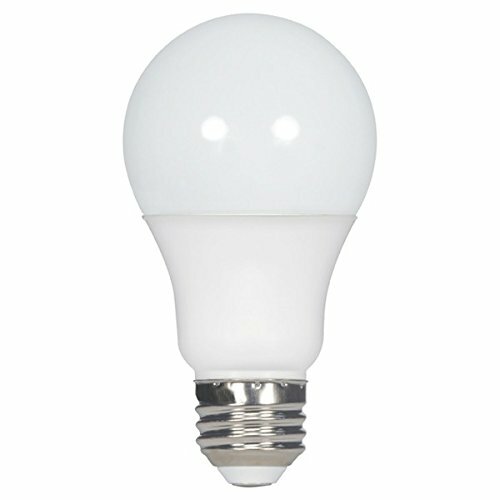 This is a 10 Watt Shaped replacement lamp that is equivalent to incandescent 60 Watts. The color is Warm White. The color temperature is 2700 K and 800 lumens. The maximum overall length is 4.31 inches and the maximum overall diameter is 2.38 inches. Frosted white finish. Dimmable. Approved for enclosed fixtures. Long life, the average lifetime of Satco S9703 is 25000 hours.